It’s the beginning of April, and normally that’s free range for April Fools shenanigans, but we’re not kidding here. TRUMP BLOCK from It’s Relevant TV is actually a thing, and it can improve your business. President Donald Trump: Like him or hate him, it doesn’t matter. There’s so much coverage on Donald Trump that you can’t go an hour without hearing his name, even if you’re nowhere close to a TV or smartphone. At some point, enough is enough. Hopefully you haven’t gotten this far, sighed at the sight of another Trump article, and are currently making your way over to the X… WAIT- trust me, keep reading. From the makers of Competitive Ad Block®, which blocks out competitors’ ads in order to prevent loss of business, comes a tool designed with that same spirit in mind: Trump Block. With Trump Block, you’ll do just that, block all coverage on Donald Trump. The good and the bad. A respectable business model puts its customers first, and It’s Relevant designed Trump Block with the customer’s comfort in mind. It doesn’t matter if you personally like him or not. The question is what affect does TV coverage of him have on the attitude of people in your place of business. Sure, people that didn’t support him during the election don’t want to see him – but we’ve also found that the people who did support him are also frustrated by the overwhelmingly negative coverage and would prefer not to see it. So why drag him into your business? TVs are a great way to keep your customers informed or entertained, and most business owners we’ve spoken with have said just that. However, the double-edged cost of this convenience comes to light when something like the 2016 election happens. A story so all-encompassing that coverage on the subject saturates the news – and even bleeds into talkshows, comedies, and pop culture. What was once meant to be informative and interesting becomes annoying, and frustrating. And when that something is as big as Donald Trump, you can’t escape it. It’s there when you get coffee in the morning. It’s there when you’re passing stores in the street. It’s on the radio when you go to work, and it could even be in the office itself. Put simply, your customers are likely tired of the Trump coverage. Seeing him on TV, hearing his voice, and even hearing his name can disrupt the moods of people and remove them from a purchasing or relaxed mindset. So why not block it out? Whether it’s the TV in a restaurant, waiting room, lobby or employee lounge- enough is enough. Don’t let the endless coverage take its toll on your business. Contact It’s Relevant TV to learn more. 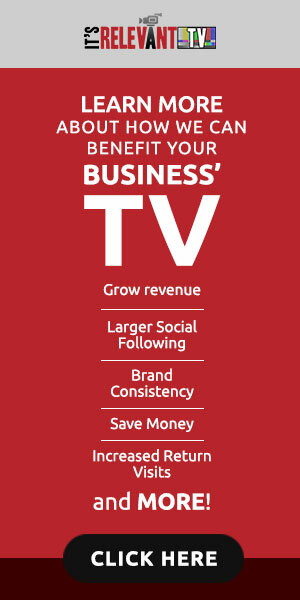 It’s Relevant TV is uniquely designed to bring your business up-to-date television programming that focuses on the interests of your customers. Business owners have control over what types of programs are shown and are able to filter out any topics or keywords that they feel may hurt their business environment.